Over the past eighty years, Australia’s top-selling magazine – The Australian Women’s Weekly – has been celebrating inspirational women from its home country. 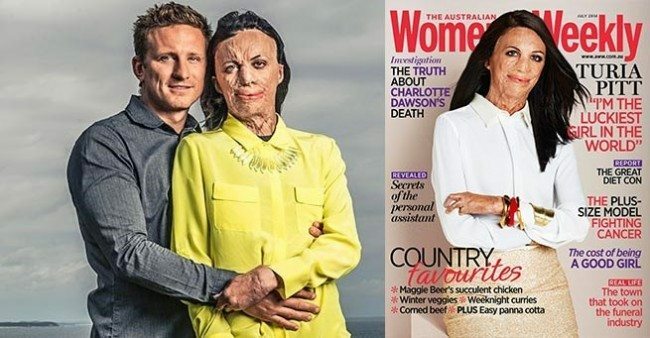 For its special July issue, which hit newsstands today, Weekly editors took their mission to the next level by featuring mining engineer and inspirational burns survivor Turia Pitt on the cover, a coveted spot typically reserved for the most “beautiful” models. In 2011, Turia was competing in an ultramarathon across the The Kimberley in Western Australia when a bushfire swept through. She suffered terrible burns over 64 percent of her body, including on her face and hands. 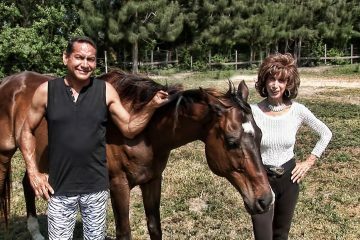 Though doctors initially gave Turia only the slimmest chance of surviving, she has since defied expectations and waged an incredible recovery that has amazed medical experts. In the process, she has endured more than 100 operations and 864 hospital meals, which she says, “is 864 too many.” What’s more, in the past six months alone, she has ridden a bicycle from Sydney to Uluru for charity, swam a 12.5 mile race in Western Australia’s Lake Argyle and walked the Great Wall of China – all to raise funds for the reconstructive surgery charity, Interplast. 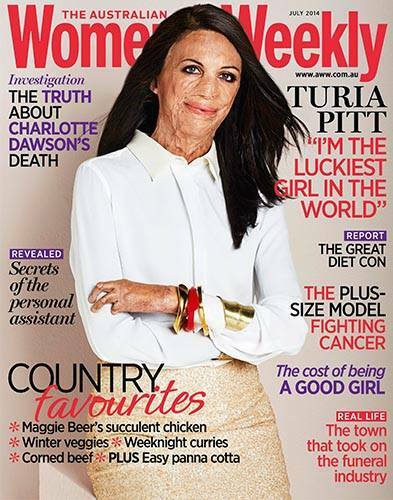 The Australian Women’s Weekly chose Turia to be the July issue cover model when she was photographed as part of the magazine’s judging panel for its second annual “Women of the Future” event, a scholarship program that aims to discover the women leaders of tomorrow. 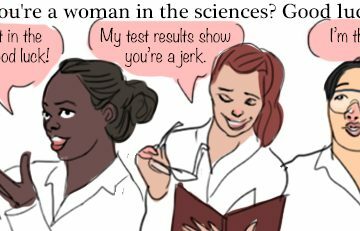 Here’s to hoping that U.S. magazine’s follow the Weekly’s awesome example of how the image of “beauty” can so easily be redefined.